Winter was almost over and 2 months had passed since my previous hike when an opportunity to hike arouse. The temperature on a Saturday night was supposed to stay in the low 20s or high teens and the following Sunday looked to be sunny in the midday with little wind. 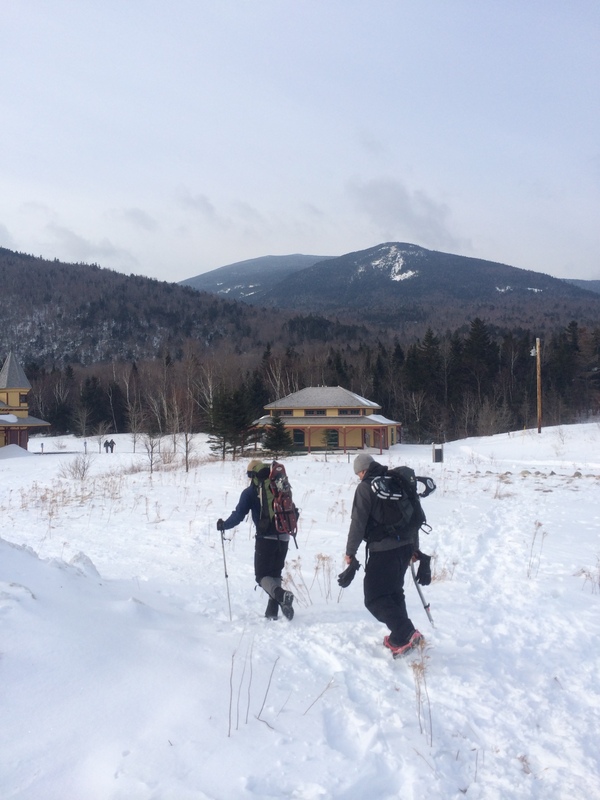 I made plans with a few friends from work to traverse the Willey Range in Crawford State Park, New Hampshire. 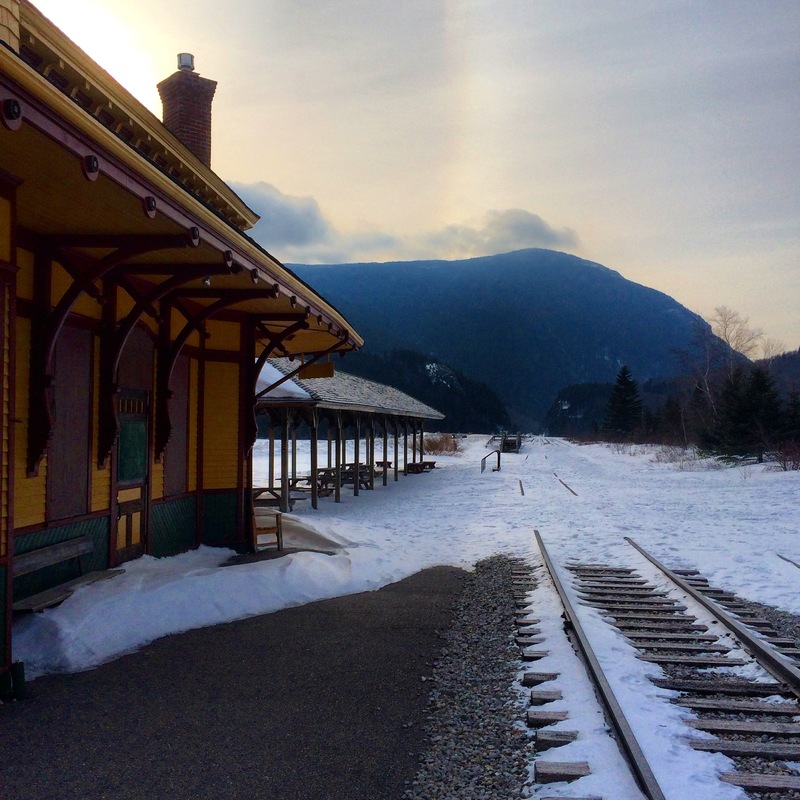 One of my friends and I would camp out overnight at Barnes Field Campground and then meet the other at Crawford Depot, the starting point of our hike. Friday night I could barely sleep due to my excitement. I left the island early in the morning thinking I could set up camp and possibly take a short hike before evening and my fellow winter camper arrived. I had a few things to pick up in Portland before heading north, including a pair of shoes. My feet were starting to sweat in my boots and I didn’t want them damp for the hike on Sunday. 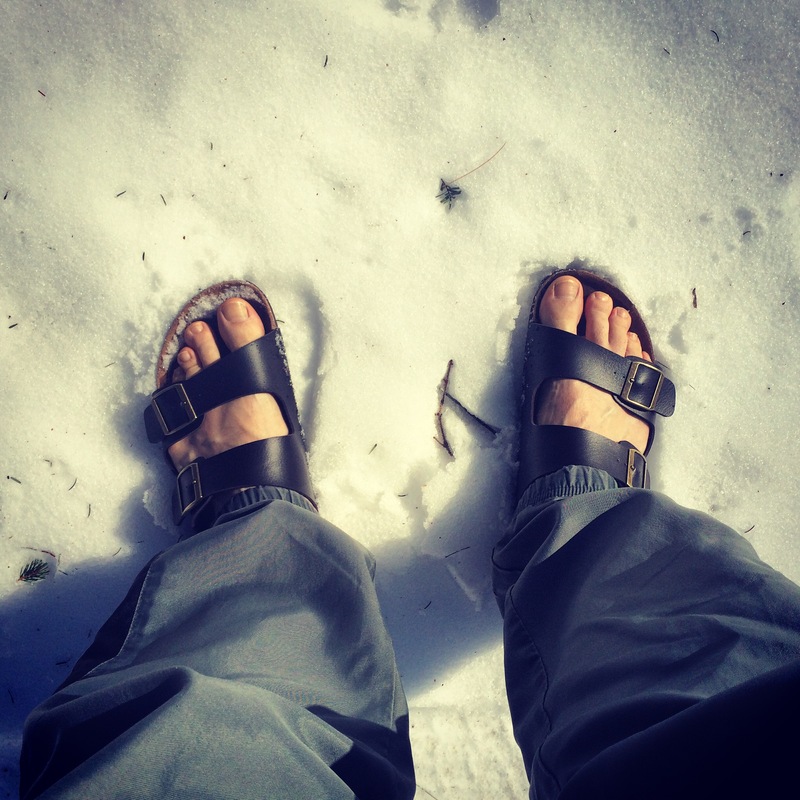 Sandals were the cheapest option (it was March afterall), so I went with those. The drive north was euphoric. I blasted the Barefoot Beach Chill playlist on Songza and enjoyed the fact that I was driving toward the mountains and free from the stresses of the normal work week. 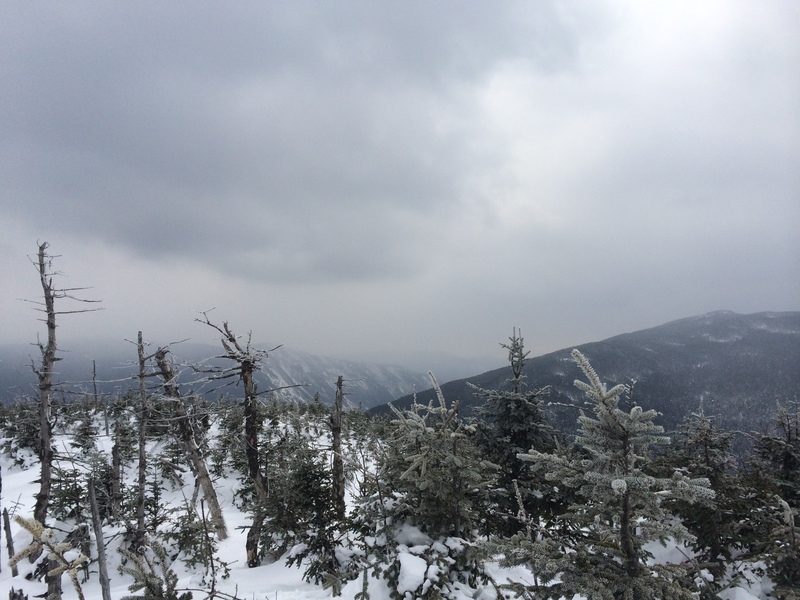 Along the way I stopped at Moat Mountain Smokehouse and Brewery as well as stopping for some sightseeing at the vista of Mount Washington in Intervale and at the bottom of the Mount Washington Auto Road. When I got to the empty campground I leisurely dug out the fire pit and set up camp in my new sandals while drinking a beer. The only sound was the far off drone of snow mobiles. The snow mobiles sounded like they were coming from the Pinkham B Road, where I was planning on snowshoeing and checking out Pine Mountain. So instead I drank another beer and took photos of setting my tent up in the snow for a future post. By 7:30pm my friend showed up with some much needed firewood (I had just about burned through the two bundles I bought) and beer. We cooked up some dinner, drank some more beer and retired to our tents by 11pm. The plan was to get up at 6am to meet the third hiker at 8am. Unfortunately the temperature dropped to around 10°, my phone (and alarm) shutdown and I woke with sunrise at 6:30am (because of daylight savings that morning). After planting my car at Willey Station Road (the southern terminus of our planned hike) we met up with our friend at 8:45am at AMC Highland. By 9am we had set off for our first destination, Mount Tom. It was a beautiful morning in the valley, the sun was shining bright and the wind just a whisper. It looked like clouds were sitting on the higher summits, but we were hoping for some views anyway. 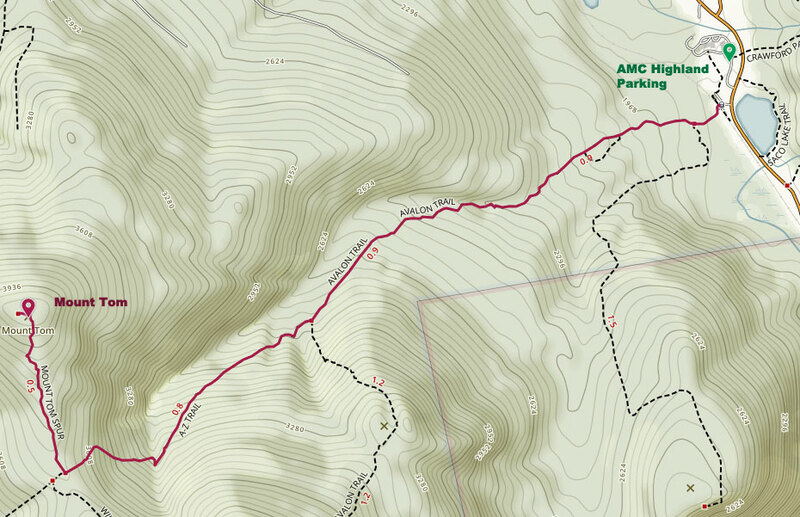 We hiked toward Mount Tom via the Avalon Trail and the A-Z Trail in our microspikes. There were quite a few people on the trail (the AMC Highland parking lot was nearly full) and the trail was nicely packed and stable. The hike up to the saddle between Tom and Field was a rugged one and we were soon stopping to peel off layers and catch our breath. Soon after hitting the A-Z Trail one of my friends needed to stop because he was seriously winded and not feeling well. We pushed on at his pace for a while but a half mile below the Mount Tom Spur he decided to head back to the car. We discussed the situation for a while, not wanting to split up our small group. It was finally agreed by all that two of us would finish the hike up to Tom, ditch the rest of the Willey Traverse and descending back down the way we came. It was a pleasant day and there were plenty of people on the trail and we would be following not far behind him. I know that he felt bad, like he was ruining our hike, but we were just glad to be on the trail. Honestly, we were concerned about him the short amount we were apart and would not have wanted to complete the traverse regardless. We soon hit the Mount Tom Spur trail and were surprised to see a creature sneaking behind trees near us. It was rust-brown color with a pale face and around 2 feet long. It darted from tree to tree, peek-a-booing around them before scurrying to the next tree. We knew it was a member of the weasel family, but unsure which one. I caught some video of it scavenging someone’s discarded banana peel. I also took out my Nikon and snapped some photos of it. It was pretty curious of us and at one point barked at me. When we headed up Mount Tom Spur it followed for a moment and then investigated the ground where we had been standing, disappointed that we didn’t leave any scraps for it. 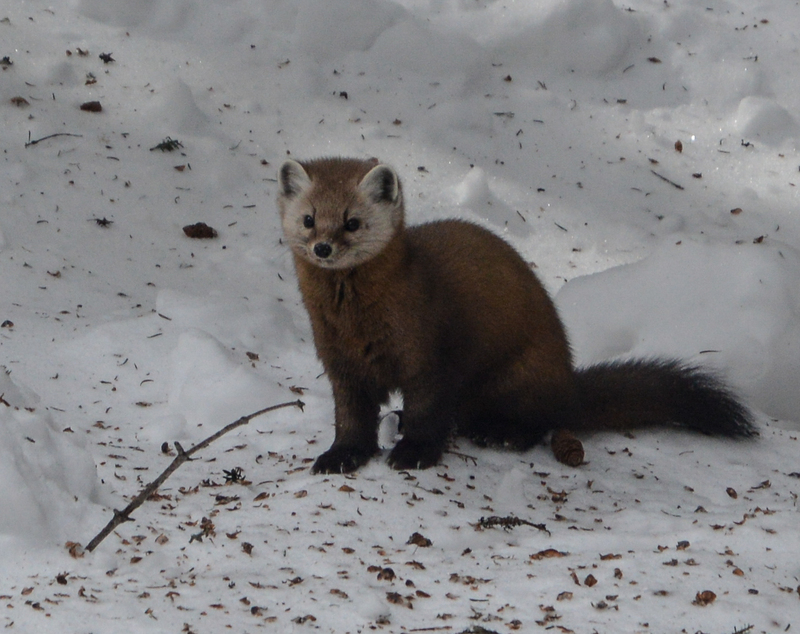 Later, with some Google investigation I concluded that it was a marten. The trail up to Tom was gradual until near the summit where it steepened. We came out above the trees to find a light snow falling around us. The trail was less established there with many sub-trails exploring the potentials views. I quickly found myself up to my hip in a spruce trap and decided that the view was good enough from where I was. We followed one of the more packed trail to the vista to the west where we stopped for a snack until the cold got to our hands. We headed down the trail at a brisk pace and were back to the parking lot in just a little over an hour. We found our friend enjoying some soup and a new book from AMC Highland, surprised that we were back so soon. The hike was cut short for us, but we were all safe at the end of the day. I have no regret about our decision. It was the second New England 4000 Footer that I’d climbed in the winter and although we would have bagged another two if we had completed the traverse, we would have been concerned about our friend the whole time. In the end we would not have enjoyed the hike. The mountains will be there waiting when we return. I’ve always hated the danger part of climbing, and it’s great to come down again because it’s safe. “Martes americana.” fs.fed.us. U.S. Department of Agriculture, Forest Service. Web. 14 March 2015. “Songza” songza.com. Songza Media, Inc. Web. 14 Month 2015.